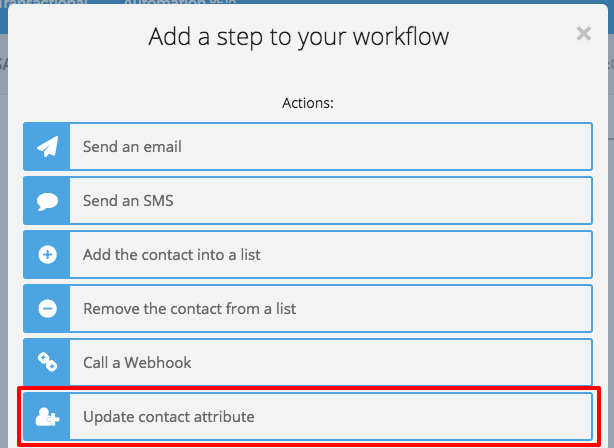 SendinBlue lets you launch a workflow when a contact has been added to a list (See the "Welcome Email" workflow). If you would like to go one step further and use the being added to this list date to launch other workflows, here's how to proceed. 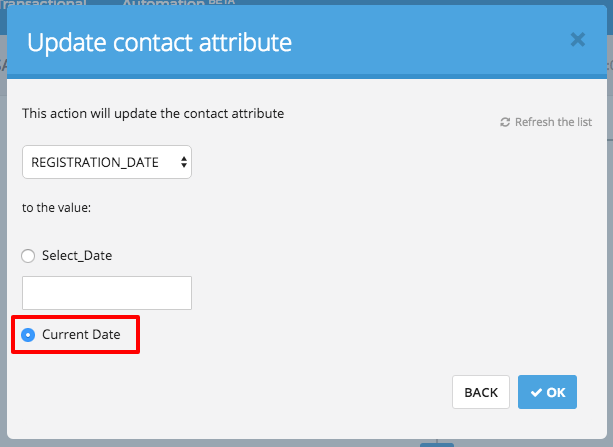 In order to take into account a being added to a list date, the first step is to create a dedicated contact attribute like "Date", which corresponds to the being added to a list date. To create this attribute, please follow the instructions that can be found in this article. 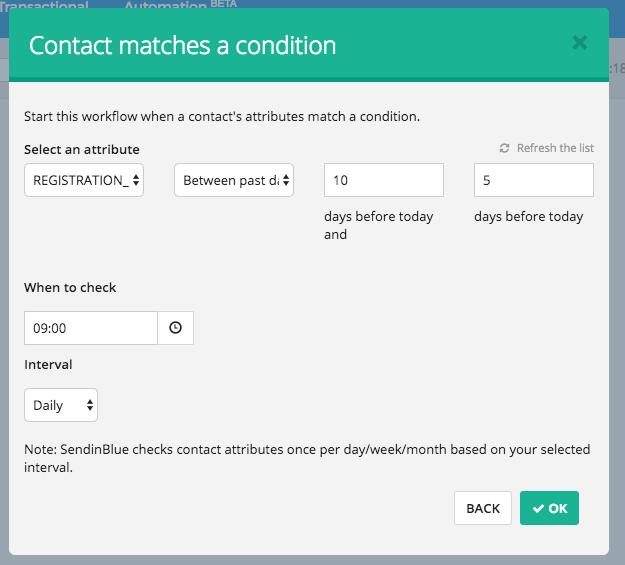 In our example, the attribute created will be called "SUBSCRIPTION_DATE"
In your Welcome workflow, or any other workflow triggered by the adding of a contact to a list, add a step like "Update a contact attribute". Then select the attribute that you would like to update and the option "Current date" and click on "OK". Now once a contact is added to a list, this field will be automatically updated with the added to list date. Note: any contacts added to the list before this step was included in the workflow will not have this attribute value. You can manually update this field's value whenever you want from the contact details, or by importing a CSV file. Once an attribute has been created and updated by input from one of your workflows, you can then create a new workflow that has the being added to this list date as an entry point. Select an entry point such as "Contact activity>Contacts' attribute condition" then select the previously created attribute. Then enter the conditions that will trigger the workflows.